According to the Nov. 18 International Atomic Energy Agency’s (IAEA) quarterly report, Iran has dismantled 4,530 centrifuges since the July 14 Joint Comprehensive Plan of Action was adopted last month. Action by Iran to fulfill its commitments under the agreement is a positive sign. 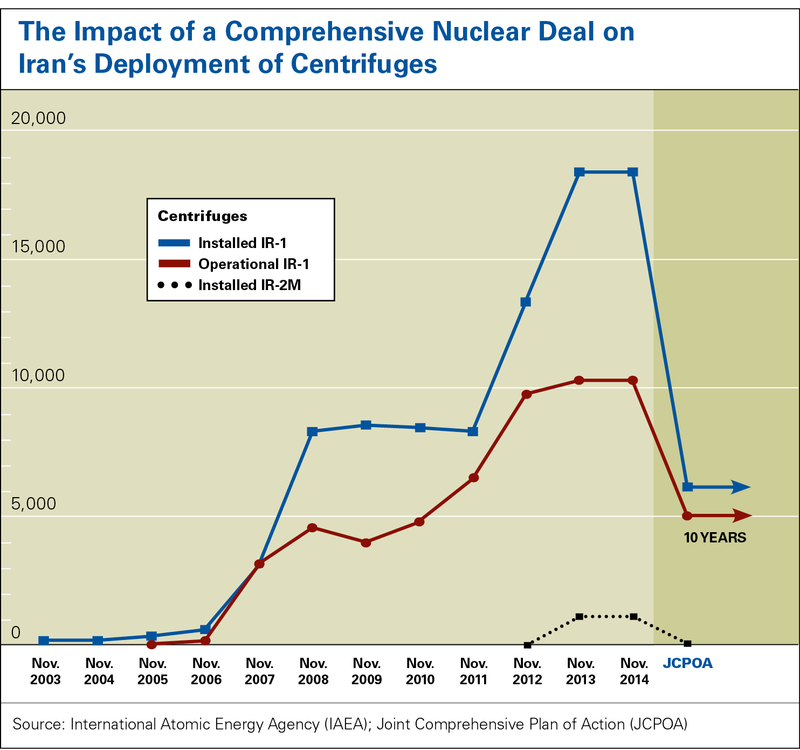 Completing the dismantlement of 1/3 of the ~13,500 centrifuges that must be removed under the terms of the deal is tangible evidence that the agreement is working to stringently restrict Iran’s nuclear program. The IAEA also reported that it began preparatory activities to implement the increased monitoring and verification provisions under the nuclear deal. That includes implementation of Iran’s additional protocol and continuous monitoring at a number of nuclear sites, including Iran’s uranium mines, mills, and centrifuge production areas. The Nov. 18 report also noted that Iran informed the agency it would provisionally implement its additional protocol and Code 3.1 of its safeguards agreement. The additional protocol will give the IAEA expanded access to Iran’s nuclear sites. Code 3.1 requires Iran to notify the IAEA of any decision to construct new nuclear facilities. The multi-layered monitoring and verification regime will help ensure the IAEA can quickly detect any deviations from the agreement or illicit nuclear activities. The report also noted that Iran and the IAEA completed the activities laid out in the July 14 roadmap between the two parties, allowing the agency to complete its investigation into the past possible military dimensions of Iran’s nuclear program. The IAEA said it would issue a report assessing the evidence of Iran’s past work related to nuclear weapons development on Dec. 15. However, Iran has considerable work left to do before it receives sanctions relief under the agreement—for example Iran as yet to decrease the numbers of centrifuges enriching uranium to the 5,060 permitted under the deal. If Iran continues at last month’s rate of dismantlement, it will take an additional six weeks to dismantle the first generation IR-1s and over 3 months to dismantle the IR-2Ms. 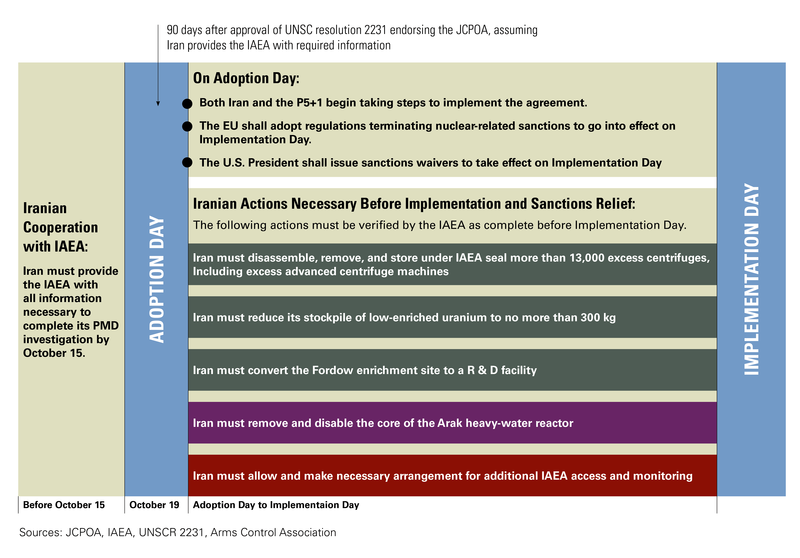 The IAEA will need to certify that Iran has completed all of its commitments in other areas of its nuclear program. Since the formal adoption of the agreement on Oct. 18, Iran has removed 4,112 IR-1 centrifuges at the Natanz Fuel Enrichment Plant and 160 IR-2M centrifuges. These machines were not being used to enrich uranium. The removed centrifuges will be stored at Natanz under IAEA surveillance. Prior to dismantlement, Iran had 15,420 IR-1 centrifuges in the production area of Natanz, of which 9,156 were enriching uranium to reactor grade, or 3.67 percent U-235. The number of centrifuges enriching remains at 9,156. Iran must dismantle the remaining 848 IR-2Ms and an additional 6,248 IR-1 centrifuges at Natanz to comply with the agreement. Iran also has various numbers of IR-1, IR-2M, IR-4, IR-6Sand IR-6 test machines at Natanz and two cascades, or 328 IR-1 machines, enriching uranium to reactor grade. The research work on the test machines will need to be completed and all the machines removed, except one of each type of advanced machines for continued testing. The IAEA did not indicate that Iran has completed testing or removed the excess advanced machines from the test hall. Iran has also dismantled 258 IR-1 centrifuges at its underground Fordow Fuel Enrichment Plant. The centrifuges and infrastructure will be transferred to Natanz for storage as per the terms of the agreement. Currently, the IAEA noted that the dismantled machines are still at Fordow. Before adoption of the JCPOA, Iran had 2,710 IR-1 centrifuges at Fordow, of which 696 were enriching uranium to reactor grade. The number of centrifuges enriching remains constant. To fulfill the terms of the deal, Iran will need to stop enrichment at Fordow and remove an additional 1,408 IR-1 machines. Iran will be permitted to keep 1,044 machines at the facility, of which 328 will be used for medical isotope research. Dismantlement efforts at Fordow may be on hold until after the IAEA reports on the completion of its investigation into the past possible military dimensions of Iran’s nuclear program. In a Nov. 15 speech, head of the Atomic Energy Organization of Iran, Ali Akbar Salehi said that there is dismantlement work currently ongoing at Fordow. Earlier in the month, Alireza Zakani, head of the Iranian parliament’s nuclear deal commission said dismantlement efforts had stopped at Fordow and would commence after the Dec. 15 IAEA report on the past possible military dimensions of Iran’s nuclear program. The IAEA also reported that enrichment was paused at Natanz and Fordow for the agency's annual inventory between the end of October and the issuance of the report. 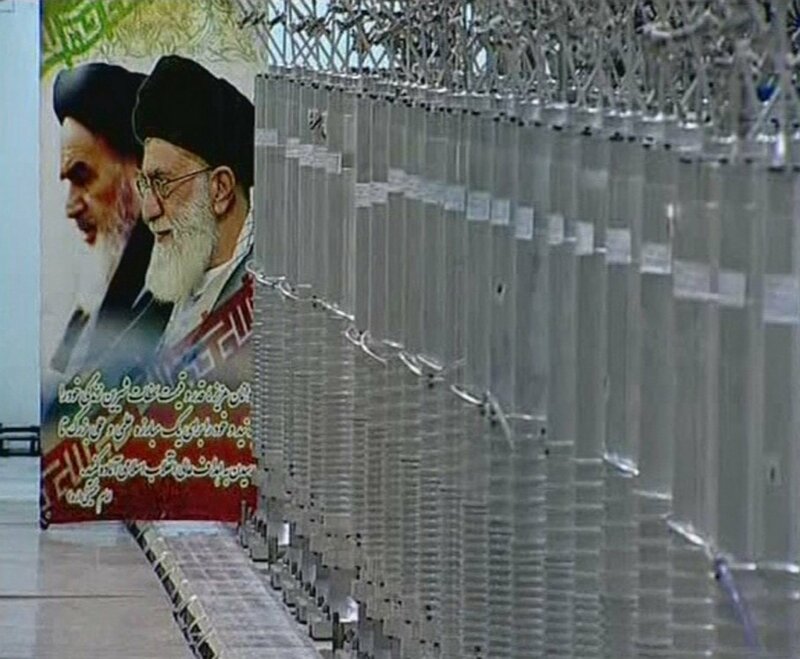 Iran’s Supreme Leader Ali Khamenei instructed that the core of the Arak reactor not be removed and the stockpile of enriched uranium not be reduced until after the Dec. 15 report. The IAEA report shows no activity at the Arak reactor. However, preparatory work for conversion of the reactor is ongoing. According to reports in the Iranian media, Iran and the P5+1 countries completed agreement on Nov. 19 outlining the redesign process for the Arak reactor. Under the terms of the nuclear deal, Iran must replace the current core of the reactor with a new core that will produce significantly plutonium. The P5+1, particularly China, will assist with the conversion process. The IAEA report also does not indicate that Iran has taken any steps to reduce its stockpile of enriched uranium to less than 300 kilograms. Given Iran’s continued production of uranium enriched to 3.67 percent (490 kilograms since August), the stockpile has grown since the last quarterly report. Iran now has produced 16,141 kilograms of uranium hexafluoride gas enriched to that level, of which 8,305 kilgorams remain in gas form. Iran used some of the gas, about 3,400 kilograms, to produce uranium enriched to 20 percent, which it halted in January 2014 as part of the November 2013 interim Joint Plan of Action and coverted into powder form. Another 4,334 kilograms of 3.67 percent enriched material was fed into the conversion process to produce uranium dioxide powder. To meet its commitments under the deal, Iran will need to ship out its gas and powder in excess of 300 kilograms. The IAEA also noted that Iran is working to recover scrap 20 percent enriched material and turn it into fuel plates for its Tehran Research Reactor. Under the terms of the final deal, Iran must covert all of its 20 percent material into fuel plates, blend it down, or ship it out of the country. While Iran has considerable work to do before it completes its obligations under the Joint Comprehensive Plan of Action, its actions over the past month are a positive sign. Iran’s dismantlement of 4,530 centrifuges indicates Tehran’s commitment to following through on the deal’s requirements. The agency’s preliminary activities laying the groundwork for the increased monitoring and verification under the deal is also a positive sign that implementation of the deal is moving in the right direction. Going forward, it is critical that Iran continue to implement its commitments, and that the United States and its negotiating partners (China, France, Germany, Russia, and the United Kingdom) follow through with sanctions relief when the IAEA certifies that Tehran has completed its obligations. The Iran nuclear agreement will severely restrict Iran’s nuclear program and ensure that illicit nuclear activities are quickly detected, but only if all sides fulfill their end of the bargain.